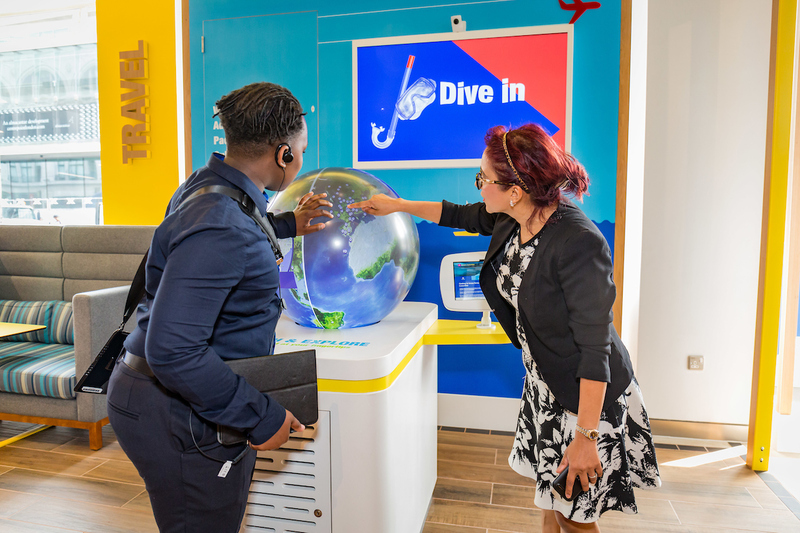 Halifax has unveiled a new flagship branch in central London, offering 13,500 square feet of customer space over three floors. According to Halifax, it is thought to be the “biggest bank branch in the UK”. While this is a new branch, as reported last year, the UK trade union Unite revealed that Lloyds informed staff it will be closing another 49 branches of the Halifax, Bank of Scotland and Lloyds, resulting in 99 job losses. This new branch (note the singular) is situated on the corner of New Oxford Street and Tottenham Court Road, directly opposite the entrance to Tottenham Court Road tube station. It’s a busy place. You can barely move for shoppers, buskers, beggars and charity chuggers. It may be easier to parachute in rather than try and walk. The branch employs over 50 colleagues and is open seven days a week. At the “heart of the branch”, the Halifax Home Hub helps customers with all aspects of the home buying and moving process, with colleagues on hand, available without appointment. 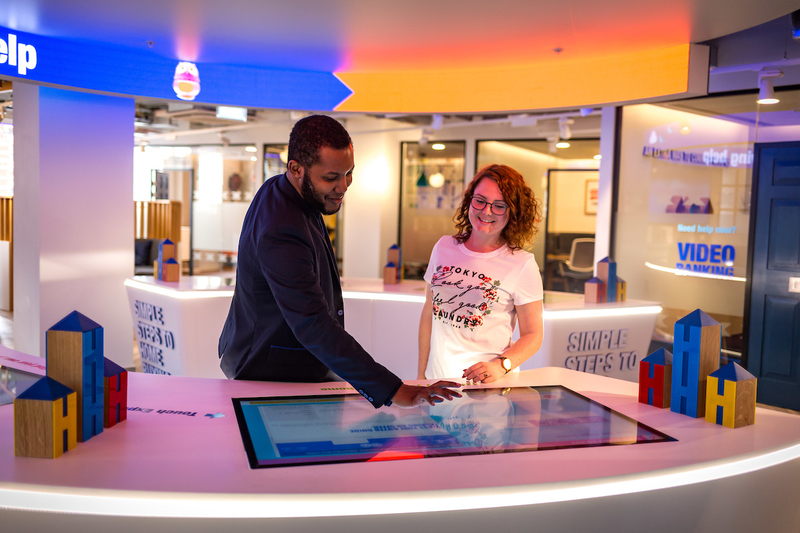 In the travel zone, customers can order and exchange over 50 currencies and get advice on saving for their next trip or how to pay for things while they are away. In the kids’ savings zone, children can learn about good savings’ habits, using the coin counting machine to see how much they have saved up, or make a deposit. On the lower ground floor, a safe deposit facility using biometric fingerprint technology allows customers to store their possessions in a safe and secure location. 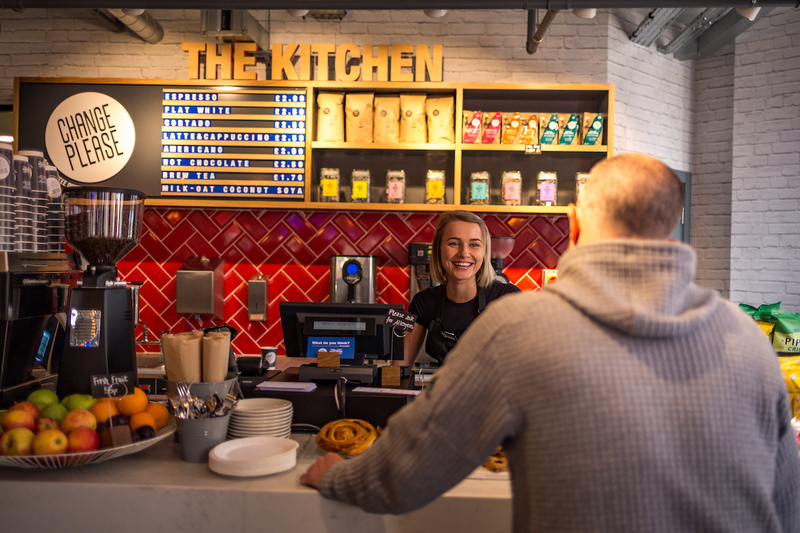 If you’re the type of person who needs to eat and drink constantly like a prize-winning cow, then food and “barista crafted” coffee is available in the Halifax kitchen; a “warm, informal space to chat, meet, work and learn”. Regular events run in partnership with companies including Google and Microsoft share expertise on topics such as home buying, smart homes, digital skills and coding for children. These events are open to everyone and are bookable online. The new branch is the second flagship branch Lloyds has opened. The first was opened in Manchester city centre last year under the Lloyds Bank brand. This is great news….but what are the opening hours?